Vijay Mallya is likely to step down as chairman of United Breweries, being automatically disqualified in line with the market regulator's notification barring wilful defaulters from holding board positions in listed companies. Controlling stakeholder Heiniken and the board of directors will meet soon in this regard to identify a successor, said people aware of the matter. According to the 2009 shareholder agreement between Mallya and Heineken, the former has the right to choose his successor. While Mallya has been vocal about his intention to repay dues to banks, he will be unable to challenge the wilful defaulter tag as of now. "Yes, this definitely debars Mallya as chairman. We will obviously have to discuss this and Heineken will discuss this with Mallya as a shareholder," said a UB director. "Some of our board members are travelling, so we will take a call as soon as possible. This also means Mallya would have to step down as chairman of Bayer BSE -0.92 % CropScience, which is said to have identified a successor in anticipation of the development, said executives aware of the matter. Banks are seeking more than Rs 9,000 crore in dues stemming from loans made to Kingfisher Airlines BSE 3.03 %, which Mallya founded. 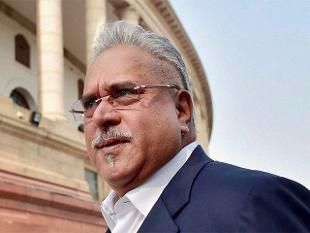 Mallya is seeking to settle with the banks and has denied allegations of wrongdoing. State Bank of India had continued to lend to UB until recently although it had termed Mallya a wilful defaulter. According to Reserve Bank of India guidelines, banks can't lend to companies with willful defaulters on their boards. SBI had done so on the grounds that UB hadn't defaulted on any loans, executives said. The notification by the Securities and Exchange Board of India ( Sebi ) empowers board members who could otherwise find it hard to ask high-profile chairmen to step down, said Shriram Subramanian, founder of InGovern, a proxy advisory firm. It will be up to Heineken to take the next step and work with Mallya on succession, he said. Heineken declined to comment. Some of UB's independent board members couldn't be reached. There was no response to an email sent to Mallya. At UB's last board meeting, Heineken and the board had decided to support Mallya as chairman after he addressed their concerns and reassured them that he was in negotiations to repay the bank loans. Independent board members had told et that the company had done well and there was no corporate governance issue that had impacted the company owing to Mallya's troubles. The current agreement between Mallya and Heineken envisages that he or his nominee will be chairman. Both sides have three directors each on the board. Since 2009, when both sides owned 37.5% each, Heineken's stake has risen to 42.4% and that of Mallya has dropped to 32%. According to an informal understanding between Mallya and Heineken, the latter has first right of refusal if Mallya sells shares.